Seminar and Presentation for Electric Power Industry Specialists - ! Equipment for Transformer Oil Reclamation. GlobeCore. 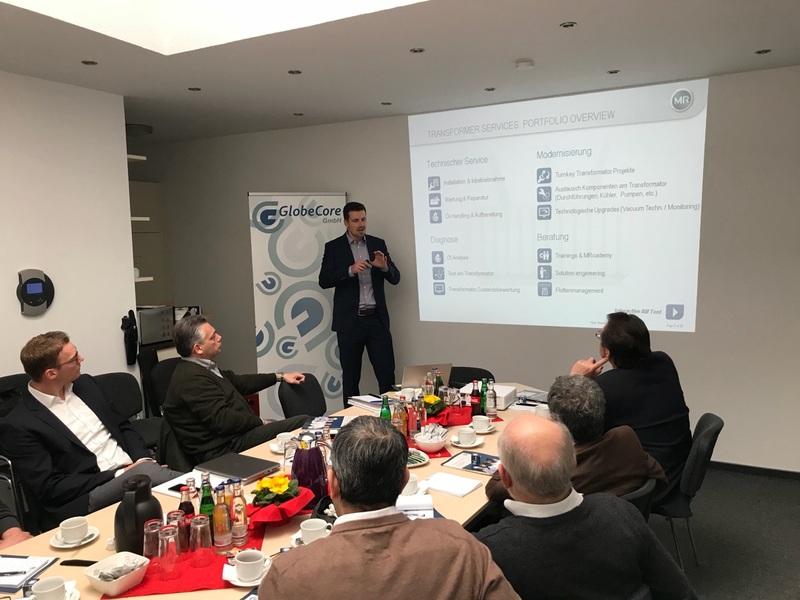 On 12-13 March, GlobeCore head office in Oldenburg hosted guests again. This time, the Oldenburg office hosted a two-day seminar dedicated to industrial oil treatment, power transformer and wind turbine servicing and maintenance. The event was attended by 14 companies from 6 nations (Germany, USA, UK, Italy, UAE and Nigeria). The main part of the seminar included three presentations by GlobeCore, Maschinenfabrick Reinhausen GmbH and Seifert Transformatorentechnik. It was followed by a “round table” discussion of the new information and other pressing issues of the electrical power industry. Alternative energy companies also participated in the event. wind turbine gearbox oil change units. It is safe to say that the questions raised at the seminar kindled much interests, which will certainly transform into fruitful cooperation in the future.